HR Advisors, Inc. — HR Advisors, Inc.
There’s no substitute for great performance. In all industries, from manufacturing to professional services, that businesses that lead ahead of the pack tend to be the ones that emphasize and aim for great performance. There are several aspects of achieving great performance. Great performance can be achieved on an individual level by one person, by a team of talented people, or by an entire business made up of many small and large teams. Today, we’ll focus on the second type of performance: team performance. Read on to discover five ways that you can improve the performance of your small team using a selection of human resources management tactics. 1. Make integrating into the team part of your performance appraisals. Many people thrive independently but struggle to work as part of a team. This can result in great performance on individual projects but slow, inconsistent results in an environment where communication and teamwork is important. Instead of focusing solely on individual productivity, make integrating into the team a major priority of your management. It’s not just skills that matter, but also being a good team player and someone that others can depend on. 2. Don’t just focus on team members – focus on the team’s leadership. Even a team of top-performers will struggle to achieve its goals without an excellent leader. Does your team have a leader that sets the right goals and keeps members of the team motivated? Effective leadership means understanding each team member’s role and priorities, then ensuring all team members can work effectively together. It’s important to be just as attentive about leadership as the individual performance of each person. 3. Set goals that can be achieved on an individual and team level. Does your team have goals that can be achieved both individually and collectively as a team? The best goals are ones that can be achieved as a team, as well as being able to be broken down into small goals that can be achieved by individuals. Create major goals, then break them down into sub-goals for individuals or smaller groups to focus on. This gives your team a major goal to work towards, but one that isn’t so large it seems impossible to achieve. 4. Make sure communication between team members is a priority. Communication is the key to effective teamwork. When people with different skills can communicate with each other clearly and openly, problems that can otherwise hold progress back are quickly avoided or overcome. Is your team designed for open, simple communication? Create an environment in which communication is encouraged and you’ll make your entire team much more focused, effective and productive. 5. Keep morale as high as possible by celebrating every achievement. It’s important to stay focused on achieving your team’s goals. It’s also important to occasionally step back and view the progress you’ve made in order to keep morale high and team members energized. When your team achieves a major goal, take a moment to celebrate. Achieving large goals not only helps your team move towards its objective – it also strengthens the ability of each team member to work effectively with their peers. Should You Recruit Internally or Use a Recruitment Services Company? Is your business expanding? One of the most common challenges business owners and entrepreneurs face is expanding their team with skilled, effective employees as their businesses grow. There are several ways to recruit new people to fill roles in your business. You can recruit internally, hiring people that already work for you to take on a new job and fill a new position. You can also recruit externally, hiring people from outside your business to fill an important role. Finally, your business can use a recruitment services company to locate and recruit talented people that can add value to your business. Which of the above options is best? Each has its own advantages and disadvantages for every business. Read on to learn more about the best way to recruit people and expand your team as your business grows. 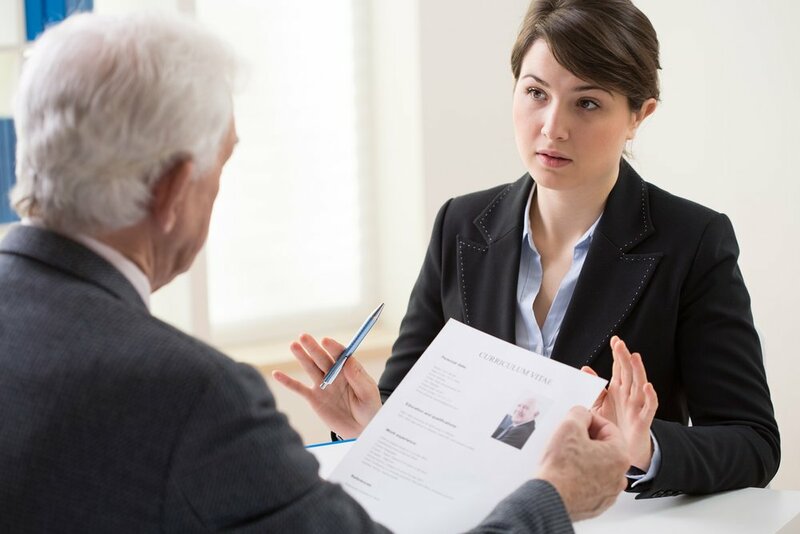 Recruiting employees can be a costly process. Not only does your business need to spend a significant amount of money to hire people; training new employees could cost a significant amount of time – a resource that’s often equally valuable. Internal recruitment has several advantages. When you promote someone that is already a part of your business, you promote someone you know, and, through the interview and work process, someone that your organization can trust. People recruited internally usually understand the way your business works, have a good feel for the company’s objectives and culture, and feel comfortable in their new job faster than an external recruit. By recruiting internally, your business may also be able to save money. Recruiting is a costly process, and promoting someone from within your company can reduce the cost of expanding your team, freeing up capital for other aspects of your business. While recruiting internally has several advantages, sometimes it’s necessary to look outside your business in order to find a suitable candidate. This is common if you’re involved in a small business that’s rapidly expanding its team with new employees. There are several advantages to external recruitment. One of the biggest is that you can access an entirely new pool of talented people, giving your business a large level of choice and selection. Another significant advantage of recruiting externally is that new people can bring new ideas and strategies into your business. This can help you excel in your specific marketplace and become a more effective, profitable company. Recruiting externally also allows your business to fill each role with the best person for the job. Rather than putting an existing employee in a role they may not be 100% suited for, your company can search for the ideal candidate for the position. Does your company need to fill a very specific position? When you’re searching for a talented employee and need to access the very best, it’s often a better strategy to use a recruiting services company than to hire internally or externally. Recruiting services companies have access to many of the best people within your industry. They can reach out to employees at your competitors and inform them of opportunities within your business. This can give you access to highly talented, effective and proven people, giving your business a greater ability to select from the best and brightest in its industry to fill in new roles, add new skill sets and fuel its growth. Although recruiting services companies come with a cost, the right person can be an incredible investment for your company. This makes choosing a recruiting company a cost-effective, intelligent solution for many rapidly growing businesses. With excellent management, great teams can become far more than the sum of their parts. 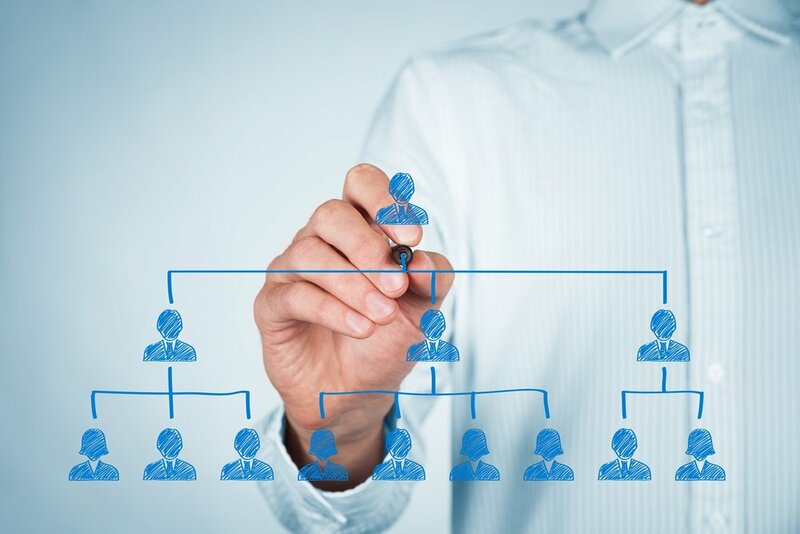 Unfortunately, many businesses hire all the right people but fail to apply great management techniques to allow them to work effectively. It’s hard to achieve anything alone, particularly in a competitive industry. Working as an efficient, cooperative team is one of the best ways to increase your business’s efficiency and get more done in each workday. Does your business depend on small, focused teams? Read on to learn how you can manage your small team more effectively to get more work done, achieve a higher quality end result and become a more efficient business. Start early by hiring the right people. The best teams are always made up of the best people. 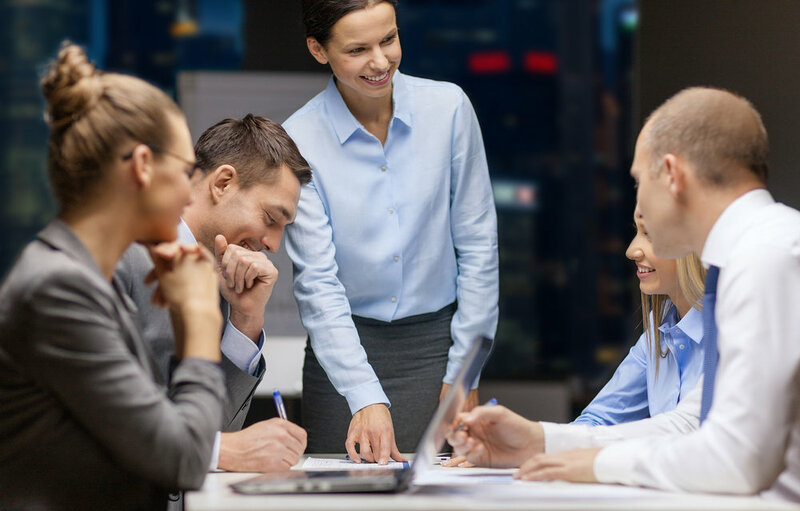 While great management can improve the efficiency of any team, you’ll get the best results by combining a highly competent team of people with excellent management. Does your business hire the best people in its field? If you’re interested in improving your results and getting more done, start by hiring talented employees that can help any team meet its targets. Remember that effective team building starts with choosing the right people to be a part of your team. Hire top performers and, with effective management, you’ll create a team that can achieve any goal. Make yourself part of the team. Many teams have management that seems effective but ultimately fails to get much done. This is often because management feels external from the team itself, instead of feeling like part of the team that’s actively involved in each project. As a manager, it’s essential that you know your team members and understand the situations and issues that affect them regularly. By becoming a part of the team, it’s far easier to stay on top of the situations it faces every day. Are you part of your team, or are you an external manager? By making yourself part of the team you manage, you can manage directly and respond faster to issues that would otherwise hold the team back and reduce productivity. Build morale by achieving goals. Team building exercises are great for building morale and making each member of your team feel more comfortable around their colleagues. However, they’re quite a time consuming exercises that can often distract from other goals and objectives. One of the best ways to improve your team’s morale is to focus on achieving goals, gradually expanding the scope of each goal as the last one is achieved. This makes your team members feel more confident as their track record of success grows. Can you split your large goals into several smaller goals? Breaking down objectives is a great way to help your team make gradual progress that improves morale and inspires confidence and success, increasing your team’s ability to work efficiently. Small team? Try working remotely. Have you considered managing your team remotely? Remote teams – teams made up of people that work remotely or from home – can often be far more productive than centralized teams that work together in an office environment. Many of the world’s leading businesses have made use of remote teams to achieve objectives at a low cost. Reduced overhead and the ability to collaborate between locations are just two of the significant benefits of managing a remote team. Can your business become more efficient by working remotely? 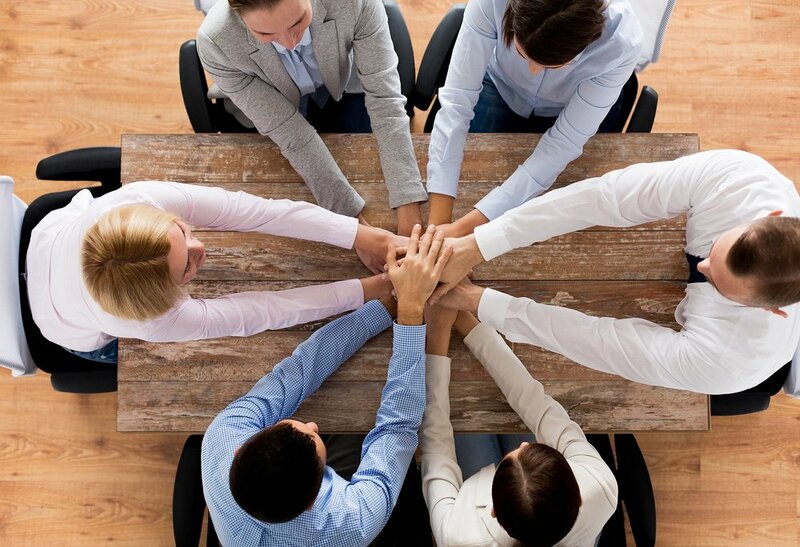 If your team has the potential to work from different locations to achieve its goals, consider using a work arrangement to improve morale and strengthen your team’s bond. Your business’s human resources team is one of its most important pillars – a team that’s responsible for ensuring the right people are hired, managed and tasked with helping your business grow and develop. Because HR serves such an important role, it’s essential that your HR team – from entry-level employees to managers – has the skills required to hire and help your employees succeed in their jobs. Are you searching for new HR staff? From communication skills to great ethics, read on to learn five important skills that you should look for in an HR manager. 1. The ability to communicate. Communications are at the core of successful HR management. Without being able to effectively communicate to employees, it’s unlikely that your HR team can meet its goals as part of your business. Your HR manager (or managers) needs to be able to easily communicate with your business’s employees, its management team and everyone else that’s involved with your business’s operations. These communications skills can’t just be verbal or written – a great HR manager needs to be able to communicate across any platform and medium to ensure their message is received and perfectly understood. One part of human resources is ensuring that the right people are placed in the right positions to help the business grow. Another part of HR is applying judgment to the disputes, issues and difficult situations that can arise in any business. From dealing with potential discrimination issues to responding to employees that feel uncomfortable or unwelcome in the office, HR managers need to have excellent judgment in order to work out how to respond to difficult issues and problems. Arguably the most important aspect of judgment is knowing when to take action on an issue and when to seek someone else’s help. This requires a combination of great judgment and strong communication skills, as listed above. Ethics are essential for effective HR management, and any good HR manager needs to have a strong sense of ethics. From dealing with private, personal information to ensuring the company’s needs are met, HR requires professionals to act ethically. This extends both in the direction of management and of employees. HR managers need to ensure that the company follows regulations and laws effectively and that its employees are treated fairly by the business’s management. Because of this, strong ethics are essential for success in HR. If you were placed in a situation without an easy answer – a situation in which people may have conflicting goals – would you be able to make an ethical, honest and fair decision? HR professionals often have to act between employees and management, ensuring that disputes and negotiations are handled fairly and that both parties are as close to satisfied as possible by the outcome. From compensation to work responsibilities, being an effective HR manager means being able to effectively negotiate and ensure situations provide a mutual benefit to members of the business or organization. Like judgment, the ability to negotiate requires strong communication skills. Could you effectively negotiate a good outcome between two or more parties and ensure both are satisfied with its outcome? The average HR manager deals with a wide range of situations and issues on a daily basis, making strong multitasking abilities an essential skill for success in the role in the long term. Can you multitask? From juggling several situations and objectives in your mind to scheduling appointments with a wide range of people throughout the day, most HR professionals have a busy workload that requires good multitasking skills. It could be recruiting one minute, then retention the next. With such a wide range of tasks to complete – tasks that often require very different skillsets – working on one task at a time just isn’t possible for most HR managers. Do you know how well each of your staff members is performing? Reviewing your employees’ performance through appraisals (also called performance reviews) is a great way to keep track of the people responsible for your business’s success. When done right, performance appraisals let you gain a deeper understanding of each employee’s role in your business, the specific challenges they face, and their work abilities. When done wrong, however, performance appraisals can give your key decision makers little useful information on how employees are performing and result in employees feeling as if they aren’t being graded fairly or truly appreciated. Worse yet, when completed ignored, a lack of performance appraisals can result in your business losing track of how each employee contributes to its overall success. Would you like to make your business’s performance appraisals more effective in achieving your objectives? 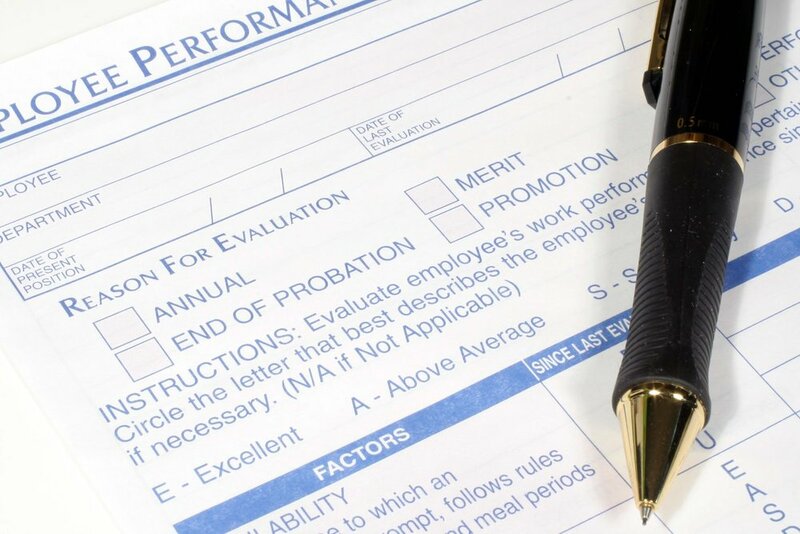 Read on to discover four common mistakes that may be holding your performance appraisal process back. 1. Not sharing important information with employees. It’s essential that you provide important information to employees as part of your performance appraisal process. The reason is simple: employees need to know the way that they’re perceived and viewed in order to work their best. Many managers make the mistake of leaving suggestions and improvement ideas out of their performance appraisal process, often to avoid offending an employee through sharing ways in which their performance could improve. Instead of only sharing positive feedback with employees, be open about areas in which employees can improve. This prevents employees from receiving an overly positive assessment that doesn’t always match their objective work reality. 2. Not providing actionable feedback and suggestions. Does your performance appraisal process give employees actionable feedback that can be used to improve their performance, or does it simply offer vague suggestions that are hard to implement? Many performance review processes are built around vague metrics of success and failure that can’t be tied to actionable improvements. As such, employees only gain an understanding of how well they’re currently doing – not how they can improve. Instead of simply reviewing an employee’s performance in broad terms, make sure you provide actionable, effective feedback and suggestions that employees can use to improve their workplace performance and generate better results. 3. Assessing performance based only on recent events. One common performance appraisal mistake is letting recent events – for example, a missed sales opportunity or a mistake at work – create an overly negative picture of an otherwise talented, effective and productive employee. It’s also possible to let recent events – for example, a closed deal or a recent success at work – create an overly positive picture of an employee that, recent events aside, may not be achieving at their very best. Instead of only looking at recent events to form an opinion of an employee’s work performance, look at both recent and past events so that you gain a full picture of how an employee carries out their role within your business. 4. Not providing praise when employees perform well. It’s important to point out an employee’s mistakes and provide actionable feedback for improvement. It’s equally important to praise employees when they perform at a level that exceeds your expectations. Providing praise when employees do well is an essential part of building confidence and encouraging people to do their best. Positive feedback, when it’s deserved, can strengthen your relationship with employees and improve workplace productivity. Many people wrongly associate performance reviews with negativity – ways that an employee can improve, for example. Focus on positivity in your performance review process and you’ll raise employee morale and create a better work environment. Your company’s employee handbook is one of its most important documents. From directly communicating your expectations and requirements to employees to giving staff a blueprint for success, an employee handbook has several goals to achieve. The primary goal of your employee handbook is to ensure that everyone that’s part of your company or organization, from managers to new hires, is on the same page with regards to conduct, goals and culture. Sounds challenging, doesn’t it? With the right strategy and techniques, it’s possible for your company to create a fantastic employee handbook. Read on to learn four ways to make your company’s handbook significantly more effective. 1. Keep it simple, straightforward and accessible. Many companies make the mistake of making their employee handbooks as dense and comprehensive as possible. This, unfortunately, often means listing rule after rule in dense, challenging language, with little readable content in between. Your employee handbook needs to clearly establish your rules and expectations, but it also needs to be readable. Dense, complex legal language is far more likely to turn employees away than encourage them to continue reading. Make sure your employee handbook contains all of the information that employees need to know, but don’t overdo the complexity. Keep it simply, straightforward and accessible and you’ll find it far easier to effectively communicate with your staff. 2. Create a clear code of conduct for employees. Does your employee handbook include a code of conduct? Your company’s code of conduct is one of the most important elements of its employee handbook, giving it an in-depth listing of behavioral and ethical expectations for its employees. Start creating your employee handbook by establishing a clear code of conduct for your employees to follow. Offer detailed information on all relevant aspects of at-work behavior and conduct so that your company’s expectations are clear. Clear, straightforward communication of your company’s conduct expectations is the key to creating a productive, effective workplace in which every individual has an excellent understanding of what is and isn’t okay. 3. Don’t keep it static – revise and update over time. As time goes on and your business grows larger and more successful, you may need to update your employee handbook to cover new expectations, practices and other information. This means dedicating time to revisiting your employee handbook and making all of the necessary revisions on a frequent basis. Once per year is a great goal to aim for – a schedule that allows your employee handbook to adapt alongside your business. Updating your employee handbook on a frequent, consistent schedule also makes it easier to incorporate changes to HR regulations and law into your handbook, giving your company the protection it needs against lawsuits and other legal action. 4. Double check everything with your legal department. Since your company’s employee handbook is an important document that outlines your conduct and behavior expectations, it needs to comply with all relevant laws that govern your company’s conduct. Before publishing your employee handbook – or releasing an updated version after making changes to its content – ensure it’s checked in detail by your company’s legal team to make sure it’s compliant with the law. If your company doesn’t have an in-house legal department, hire a professional to review your employee handbook. Although there are costs associated with getting expert legal advice, they’re small in comparison to the cost of a serious lawsuit. Does your company need to hire a talented individual for a challenging position? It can be extremely hard to fill certain roles, particularly those that require advanced qualifications or a great deal of experience. With demand for talented people high and competition between employers equally as great, it can be hard to set your company apart from its competitors when you’re aiming to hire someone truly exceptional. Luckily, it’s still possible to recruit great people for positions that are challenging to fill. These five tips, tactics and techniques will help your company differentiate itself from its competitors and win the attention of talented, exceptional people. Start with a detailed, specific job posting. The more specific you can be in your job posting, the greater your chance of finding a top-performing employee. Talented people know what they’re good at, and they’re far more likely to respond to a clear, detailed job posting than a generic one. Outline the exact skills and qualifications you’re looking for, from specific technical skills to the qualifications and credentials you need. Be as specific as possible in all aspects of your posting, from experience and education to qualifications. The more detailed your posting is, the better the image of the position candidates will see when they read it. Describe your position in detail and you’ll attract great candidates with a clear idea of what you’re searching for. Offer a competitive salary and benefits. It may sound obvious, but offering a competitive salary and great benefits is often the key to winning talented employees. Highly talented, skilled people know what they’re worth, and they’re unlikely to even entertain an unimpressive offer. Study your industry so that you have a full understanding of compensation, benefits and other forms of payment for employees. The better you know your industry and its average compensation, the better you can make your offer for new hires. It’s also important not to be shy about the benefits and salary your company has to offer its staff. Since most top-performers are already employed and changing from one employer to another, they need a serious offer to consider making the jump. Prepare a detailed, comprehensive hiring plan. Does your company have a plan for hiring new people? Without a plan, it’s easy for your business to spend a large amount of time – and often a significant amount of money – attempting to hire talented people without any success. Before you start the hiring process, prepare a detailed, comprehensive plan so that your HR department knows exactly which steps to take. List platforms you’ll use to find people, limits on salaries and benefits and other important information. If your company is relatively small and hasn’t hired for many hard-to-fill positions before, consider working with a recruiting company. They will have an established process for filling high-competition positions that your company can benefit from. Be prepared to negotiate – you’ll need to. Since in-demand people understand what they’re worth and how valuable they are to employers, it’s unlikely that your company will be able to hire a top-performer without some level of negotiation. From salary to benefits, working hours and other important aspects of the job, you’ll need to be prepared to negotiate to ensure both parties – your company and its new employee – are treated fairly as part of your working relationship. Again, this is an area where understanding your industry is important. If you have a full understanding of the standard conditions throughout your industry, your team will be better prepared to negotiate with any prospective employees. Make it clear you reward top performers. Does your business reward people that go above and beyond their expectations? A common fear of top-performing staff is that their contributions – which often go far beyond expectations – will be missed, passed over or ignored. No one likes being ignored after putting in extra effort, making it important for your business to clearly communicate to any prospective employees that it pays attention to people that contribute beyond par. Make it clear, during the hiring and interview process, that your company rewards its top performers, and you’ll become a more appealing opportunity for the people interested in working for you. From accountancy to marketing, auditing your business’s practices is an excellent way to ensure you’re working as efficiently, effectively and in compliance with the law. By carrying out HR audits on a consistent schedule, your business can ensure its HR department is focused on achieving its goals and following established practices and procedures for successful, legal conduct. Regular HR audits also reduce the risk of your business facing a lawsuit brought on by inappropriate or non-compliant HR processes. This makes the costs of an audit – mostly the time involved – an extremely small price to pay for legal security. Is your business preparing to conduct its first HR audit? Whether you’re conducting a regular HR audit or preparing for your business’s first, read on to learn five ways to make your HR compliance audit process more efficient and effective. 1. Use checklists for each aspect of your HR audit. One of the most challenging aspects of an HR compliance audit is keeping track of what work has been completed, what work is still to be completed, and what tasks are likely to demand a significant amount of your team’s resources. Checklists are helpful audit tools that allow your team to easily keep track of where it’s currently operating, what it’s already completed and which priorities remain to be achieved. Create checklists for each aspect of your HR audit – from checking records to using up-to-date practices – so that your entire HR team can accurately measure all of its progress as it makes its way through the compliance audit process. 2. Work according to your HR conduct manual. Does your company have an HR conduct manual? Your HR conduct manual should clearly document the rules and regulations – as well as guidelines – that your HR department should follow as part of its decision making. A high quality HR conduct manual provides frameworks for your HR department to work within, making it far easier for members of your business’s human resources team to act consistently across cases. Although this may not be a high priority during audit time, it’s extremely important for minimizing the amount of time your business needs to spend on each audit and streamlining the process of HR management. 3. Locate areas for change, then start prioritizing. One of the most important aspects of any HR audit is identifying problems that have arisen within your HR department, then working out how they can be solved using a variety of methods. A challenging aspect of this process, however, is working out which issues deserve the most attention. How should your HR department prioritize its time to solve the problems it faces as efficiently as possible? Once your HR team has identified major issues and areas for change, create specific priority lists so that it has clear objectives to work to, allowing change to be made as quickly and effectively as possible. 4. Make reporting and recording key priorities. The better your HR department’s documentation, the easier it is to complete an HR compliance audit. In-depth, detailed documentation of processes and events is also key to ensuring your audit achieves actual change instead of just cosmetic change. Not only does thorough documentation give your human resources team the data it needs to make smart, effective decisions – it also protects your business in the event you face a lawsuit or noncompliance claim. Recording events, meetings and other HR-related information may require a more focused effort in the short term, but it offers significant long-term advantages for your HR department and your business as a whole. 5. Stay up-to-date on new HR laws and regulations. More than many other areas of your business, the HR department is subject to laws and regulations that change frequently. This makes it essential that your HR team is completely up-to-date on all of the relevant regulations it needs to comply with. As part of your HR compliance audit, ensure that your HR department is 100% up-to-date with all recent changes to HR law, particularly the changes that could have the most significant impact on your business’s human resources practices. Like record-keeping, remaining up-to-date on HR regulations is a demanding and intensive process. However, it plays a major role in ensuring your business is not subject to legal action as a result of outdated HR decisions.